Are you looking for a West Virginia cabin vacation rental near the New River Gorge National River? 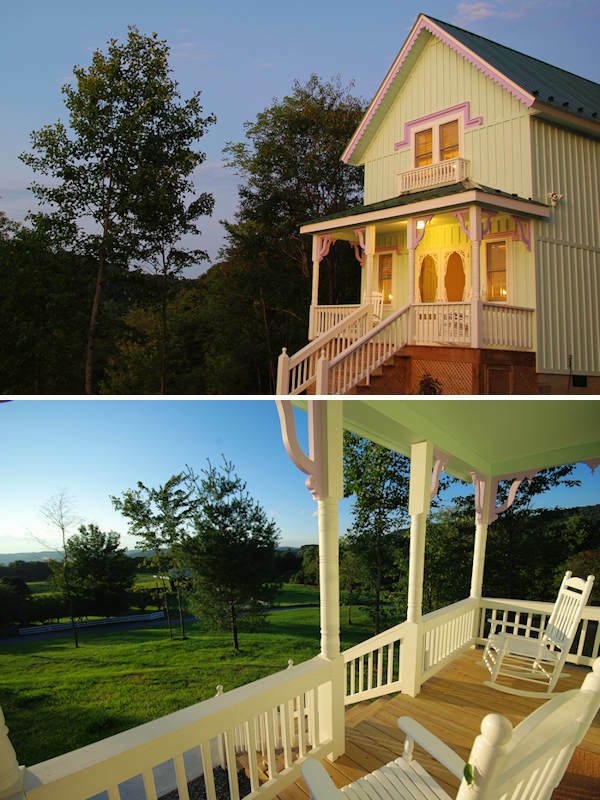 Star Song 1 & 2 Cottages are serene places to stay, tucked in the beautiful mountain valley of Meadow Bridge and Lockbridge, West Virginia. We are along the scenic driving loop for the New River Gorge National River, near Lewisburg, Fayetteville and Beckley. These charming “gingerbread” cottages have two bedrooms, a fully equipped kitchen and a porch with mountain views from your rocking chair. Star Song is the perfect getaway for exploring the area or a quiet retreat while enjoying the deer, wild turkey, songbirds and other wildlife in the pond and on the forest trail. Located on 32 acres of mountain countryside in southern West Virginia, our well-appointed cabins are halfway between Beckley (30 miles) and historic Lewisburg (32 miles) near I-64. Our convenient location is just eight miles from exit #143. 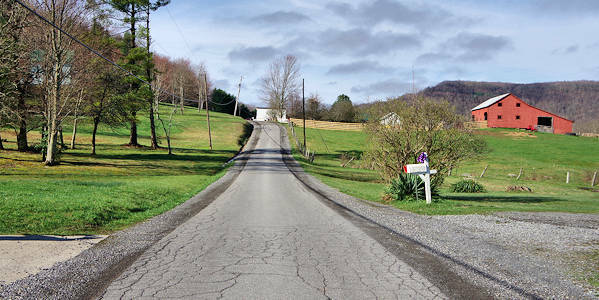 We are also a 45-minute scenic drive to the many activities at Fayetteville and to the famous Greenbrier Resort Hotel. Enjoy star-filled nights and lazy days in your cottage in a small, rural setting. If you want a little adventure, there is plenty to see and do nearby! See our Guide to the New River Gorge area with our favorite spots to visit. Go world-class whitewater rafting on the New and Gauley Rivers. Hike trails with amazing views of the New River Gorge National River. Drive the “New River Gorge Loop Tour” from your cabin to see the most popular stops around the gorge. Learn more at four National Park Service Visitor Centers along the way. Browse galleries, antique shops and specialty stores in historic Lewisburg. Savor local and international food in a wide variety of restaurants. See a vast array of local art and craft at Tamarack (and Lockbridge Pottery is our neighbor). Zip line above the trees on canopy tours. See the famous Greenbrier Hotel Resort in White Sulphur Springs. Visit Babcock and Bluestone State Parks with outdoor activities. Explore the historic railroad town of Hinton and see Sandstone Falls. Tour the Beckley Exhibition Coal Mine in Beckley. Enjoy professional theatre at Grandview open-air amphitheater. Have a date night at the nearby Meadow Bridge Drive-In Theater, one of the few left in the country. Drive over and enjoy the amazing views of the New River Bridge (and don’t forget Bridge Day! ).